The ASK 240 GFB contains Hydrocarbon Pads, Floating Booms and Absorb Granules. 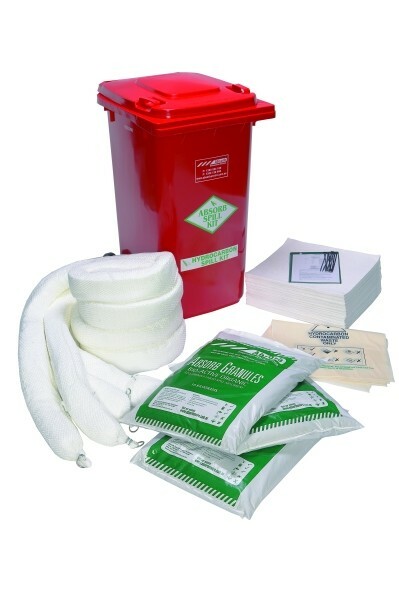 This spill kit is designed to handle spills that occur near water courses, such as hydraulic oil spills from machinery. The Absorb Granules are useful when cleaning up areas along a bank or vegetation around a water course. * Don’t use this kit for aggressive chemicals like acids and oxidizing agents. Instead, use the ASK 240 HAZG kit.